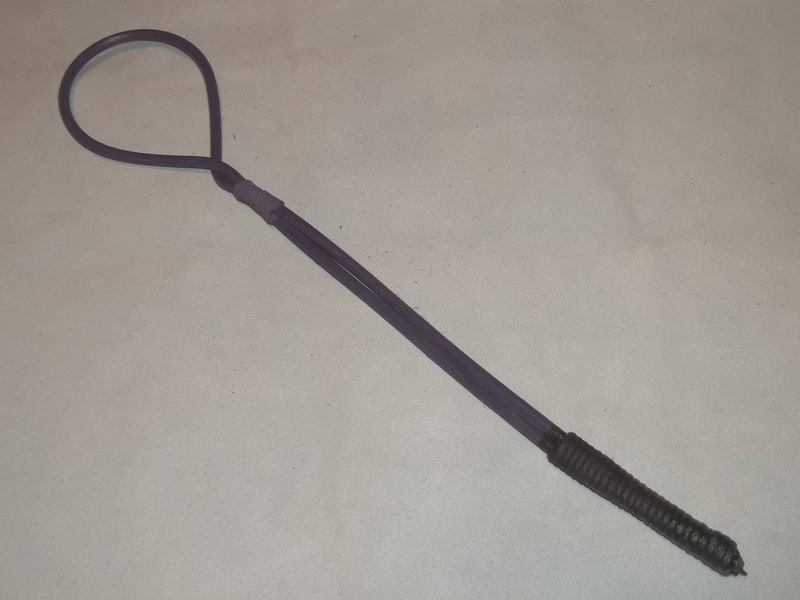 Purple Rattan Twisted Loop Cane! Handcrafted! This item is the perfect toy to add to your collection! This is our rattan twisted loop cane. This item is approximately 18" long and definitely packs a sting. This one is painted purple would be wonderful as a gift for anyone including yourself! However, with this item, please use with caution as this item could seriously hurt someone. This, like all of the items in my store, is very unique and handmade with the utmost quality and concern for details. This would make a wonderful gift for that special person in your life. As with all items from my store, please play safely. These items can cause serious injury if used improperly. As always custom and wholesale orders are welcome.